Grand Rapids is a small picturesque community in central Manitoba. Population is about 1,500 and the nearest towns are at least 100 miles away. This isolation, coupled with the numerous caves and dense forest, make for excellent bear habitat. Due to the location between two large lakes, the area often becomes a funnel for hungry bears. Color phase percentage taken varies but usually averages out to 65% per year. Hunters have an excellent opportunity at a Pope and Young or Boone and Crockett bear. Hunts are from pre-baited stands. Most stand site are fixed position stands or ladder stands with 10-20 yard shot distances. Baited stands are strategically placed in remote areas where bear traffic runs high. Located on the shores of beautiful Wabigoon Lake, Indian Point Camp is a choice destination drive-up camp in Northwestern Ontario. The Real Deal has filmed hunts with Indian Point Camp since the onset of the show, and the sites have proven to be successful time and time again. Dryden is one of the top Whitetail Deer hunting destinations in Canada, and the success of Indian Point Camp's hunts confirms that. In 2009, a camp guest successfully harvested a 185 B&C trophy buck! With up to 100 deer stands, hunters have an excellent chance of harvesting their very own trophy deer. Indian Point Camp's Black Bear hunting management area is 250 square miles and produces huge bears. In 2016, a camp guest successfully archery harvested a 536 pound camp record bear! Wabigoon Lake is considered one of the top fishing destinations in Ontario due to the seemingly inexhaustible bounty of Trophy Walleye, Monster Muskie, Giant Northern Pike, Tasty Perch, Big Crappie and Hard Fighting Smallmouth Bass. 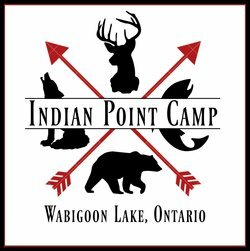 As a family resort with clean, comfortable accommodations and many outdoor adventure activities for the whole family, Indian Point Camp is a local favourite consistently visited by The Real Deal team. Imagine a lake and a remote lodge you can call your own. "Into the Wild" at Birch Bark Lodge is just that. The lodge is situated on the shores of Wigwascence Lake, located 70 miles north of Pickle Lake and only accessible by plane. The unique feature of this lodge is that there are only 2 cottages and a main lodge with room for 12 guests. It really is your very own pristine paradise. Wigwascence Lake is part of the 250 mile Pinemuta river system and is 7.5 miles long with numerous islands, bays and more which offers endless fishing opportunities. Birch Bark Lodge supplies comfortable modern boats, reliable motors, and padded swivel seats. The lake has had virtually no fishing pressure and a healthy population of walleye and northern pike. Marc and Amber visited in 2016 for a moose hunt and this area can only be described as moose-y! Located in WMU 1C, the remote location of this camp ensured we were not competing with the pressure of other lodges and other hunters. The accommodations are phenomenal! Homey, clean and comfortable, the cottages and lodge are a home away from home. Being able to have a hot shower was awesome, but most unexpected was the sauna and meat cooler facilities! With a no-hassle meal plan, we enjoyed hot, delicious home cooked meals. The Real Deal will definitely be back for more hunting and fishing adventures at the amazing fly-in destination, Birch Bark Lodge. In 2017, we made a return trip to Birch Bark Lodge's outpost camp on Trout Fly Lake. The moose hunt at Trout Fly is exclusive to Ontario residents, while fishing is open to everyone. On this short trip we saw multiple moose including 2 monster bulls - Ontario resident moose hunting dream come true! Although more rustic then the main camp, this outpost still boasts full amenities including lights, running water and power. In the summer of 2017, Marc, along with two of his sponsors, spent 10 days in South Africa (winter time there) at Nongai Safaris. What started out as a dream hunt very quickly turned into more than a hunt or safari; the trip was a huge educational experience for all three of them. They learned a lot about South Africa, South African culture, and politics; but most importantly about South African conservation. They also made some great new friends... Bev and Wiehan Buchholz, who own Nongai Sarafis, are now lifelong friends. Thinking this dream trip would be several years away, working with Nongai Safaris proved these trips are affordable, and actually very easy to book, plan and do. When booking with such professionals they take care of EVERYTHING. Getting your rifle over there, all accommodations, meals, trackers..... you name it and Nongai takes care of it for you!! There are MANY animals to choose from with many styles of hunting and spotting; glassing from high vantage points, driving around glassing fields and bush lines, spot and stalk, ground blinds, archery, rifle, crossbow, muzzleloader... you name it and they can do it!! Home of the Guaranteed Bear Hunt, Bloodvein River Outfitters Ltd. located in Lac du Bonnet, Manitoba, is going to make sure all hunters are in front of some bears - or the next hunt is free! When Marc and Amber visited in 2015, there was no shortage of black bears in front of them. The action was non-stop and so much fun to experience and film. Marc successfully harvested his first ever Manitoba Spring Bear, which aired on Season 2 of The Real Deal. In addition to the active pre-scouted/baited hunt, Bloodvein River Outfitters Ltd. provides accommodations, handling and cleaning/field dressing of game, freezer facilities, and experienced local guides to ensure the hunt is an amazing experience from start to finish. With Waterfowl and Whitetail Deer hunts, in addition to free fishing with all hunt packages, Bloodvein River Outfitters Ltd. is the Manitoba favorite of The Real Deal. 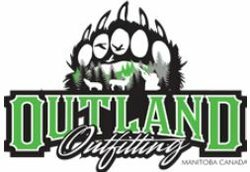 Pierceland Outfitters is located Saskatchewan - the province known to produce the world's largest whitetail deer. The heaviest body weights and the largest racks, Saskatchewan is where you go to experience your dream trophy deer hunt. Superior habitat, quality equipment, comfortable accommodations and knowledgeable staff ensure a successful trip at Pierceland Outfitters. Mike and Kelly both tagged out Whitetail Deer Hunting at Pierceland Outfitters in 2014 with amazing footage that aired on Season 1 of The Real Deal. A healthy deer population produced lots of action for both Mike and Kelly. Not only did they have lots of fun and excitement, but they were able to fill their freezer at the same time. In addition to Whitetail hunts, Pierceland Outfitters offers Black Bear and Moose hunting. They have an allocated area of 243 square miles for Whitetail hunting, 315 square miles for Black Bear Hunting and the Game Management Zone 69 for Moose hunting. The Real Deal Team looks no further than Peirceland Outfitters for their Saskatchewan hunting adventures. Need promotional products or clothing? Mallons is your one stop shop for all your promotional marketing needs.